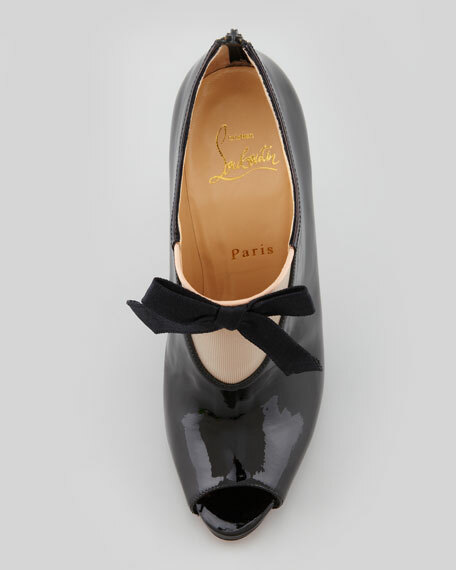 Every night is a formal affair with this tuxedo-style Christian Louboutin bootie, a dapper pairing of high-shine patent leather and sheer paneling topped off with a satin bow. Patent leather upper with mesh inlay. Satin bow detail tops vamp.